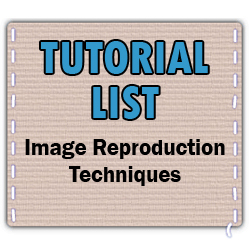 Here are links to an almost completely thorough list of the tutorials that are available on Craftster's Image Reproduction Techniques boards. Some tutorials were excluded for lack of pictures and no tutorials listed on other sites were included. I was pursuit about the same things.